People who dine and ditch are probably more common than we realize, but a British man in D.C. appears to be on some sort of tear. Newsweek reports that over the past few weeks, he “has been tracked at several D.C. hot spots, including the Willard InterContinental hotel and the Old Ebbitt Grill. 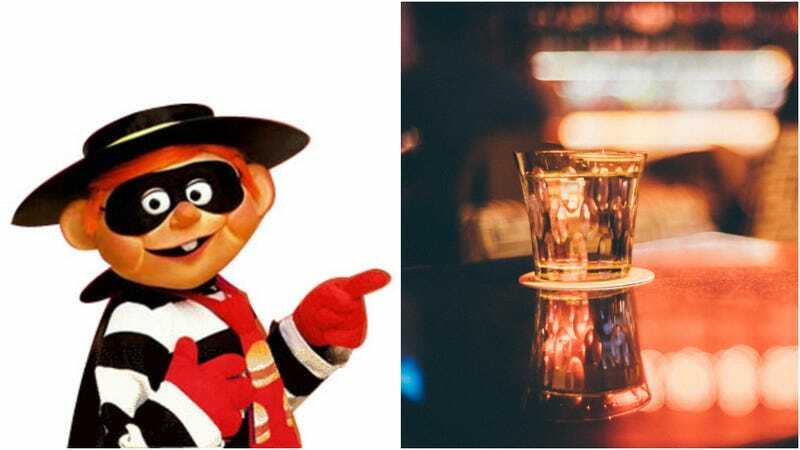 At the Ritz-Carlton, police claimed the man capped off a meal of grilled octopus and rack of lamb with a $156 bottle of cabernet sauvignon and a $1,200 shot of a rare 34-year-old single-malt Irish whiskey.” Hardly on the level of skipping out on a breakfast at a greasy spoon. Newsweek says that the suspect is allegedly 21-year-old British man Nicholas James Cooper, who has previously been arrested “on March 13, when he allegedly signed his $68.20 bar bill at the Willard with a fake name and hotel room and tried to pay a $67.91 bill at the Old Ebbit Grill with a closed credit card.” A few days later, Cooper took out his anger on high-end hotels and the like as “he allegedly pulled on the glass doors at the Embassy Row Hotel and shattered them.” Although arrested and charged with destruction of property, he was released. The shot incident happened when Cooper allegedly tried to charge his pricey meal bill to the room of Denver Nuggets forward Trey Lyles. When authorities approached him in the lobby, one of the officers tackled Cooper, thinking he had a gun. “Instead a bottle of alcohol fell out,” surprise. Arrested for the third time, Cooper was “released on his own recognizance.” So pricey D.C. restaurants and bars, be on the lookout. We’re not sure what kind of collateral should be involved with a $1,200 shot of whiskey, but we’re thinking at least car keys or some sort of affidavit. Also, we’re all pro-immigration and everything, but this guys has already passed his third-arrest strike in the U.S., so why is he still here?